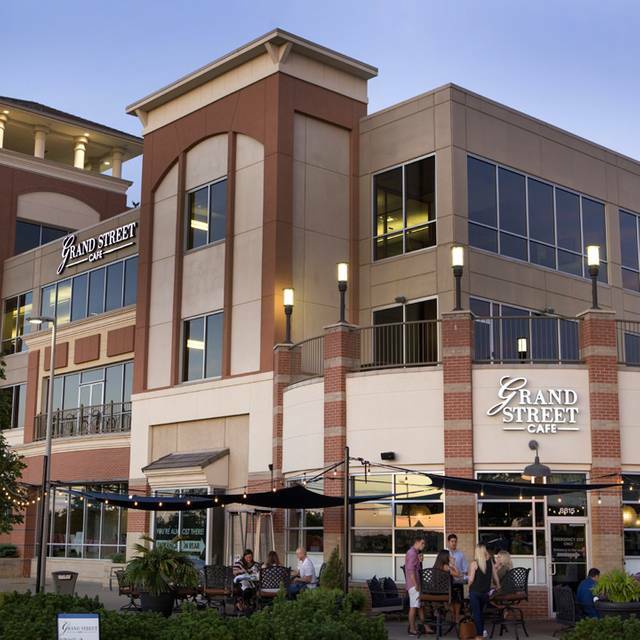 You must make reservations at least 5 minutes in advance of the time at Grand Street - Lenexa. A free, covered parking garage is located right outside of Grand Street for your convenience. Grand Street Cafe is available to cater events from a few people to a few hundred people. 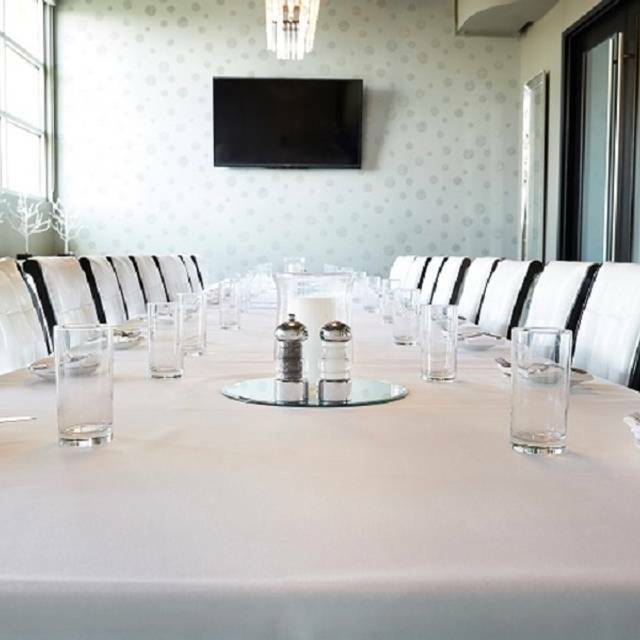 Let our culinary team create an unforgettable menu specific to your event. 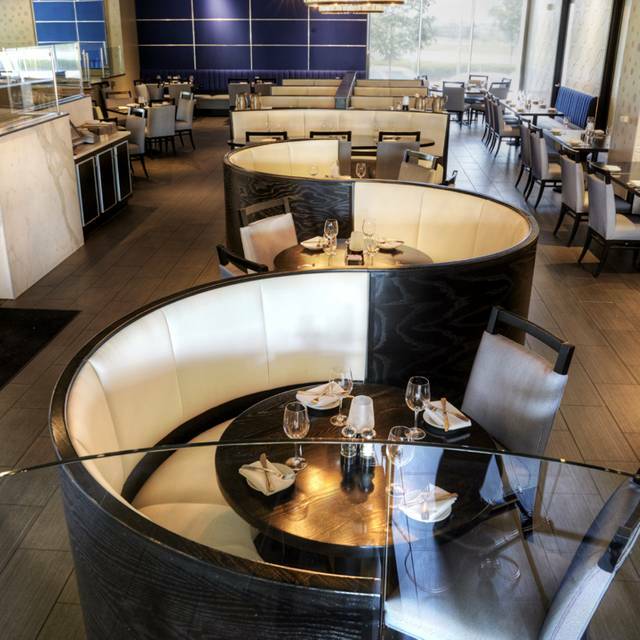 Let us handle all of the details- from a cocktail reception to a multiple course dining experience. We can also accomodate your private party here at the restaurant! 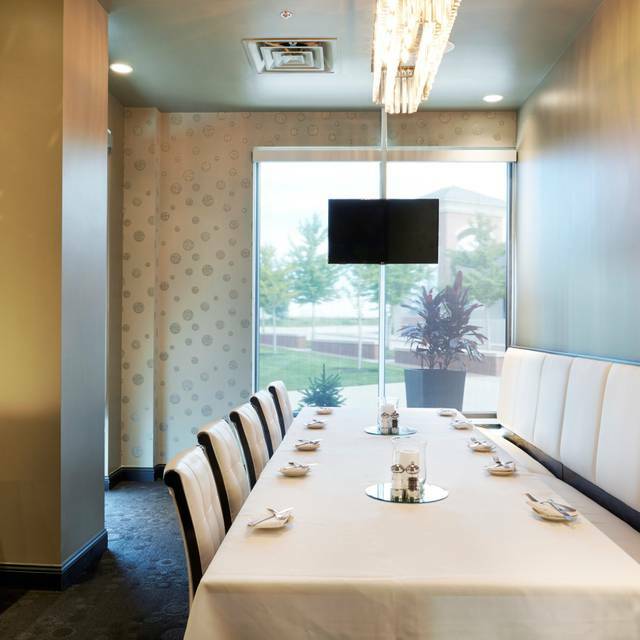 Seating from 14 to 100, ask how you can rent private rooms to fit your needs. 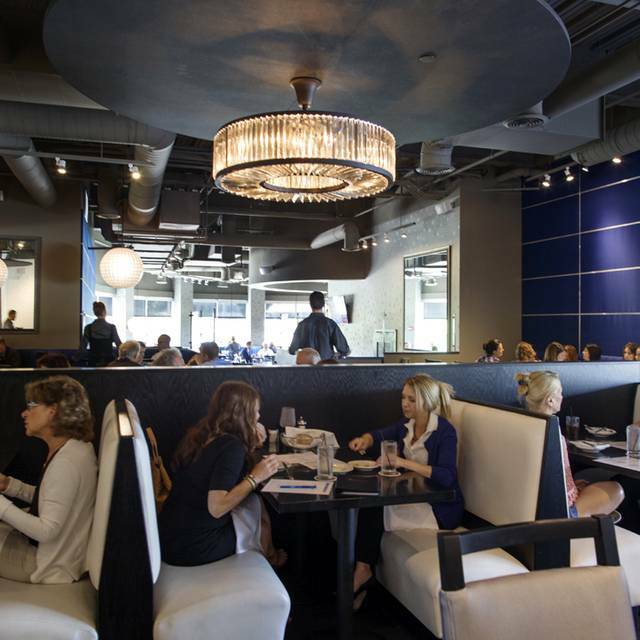 For over 25 years, locally owned and operated Grand Street has been a Kansas City favorite for its modern American cuisine. 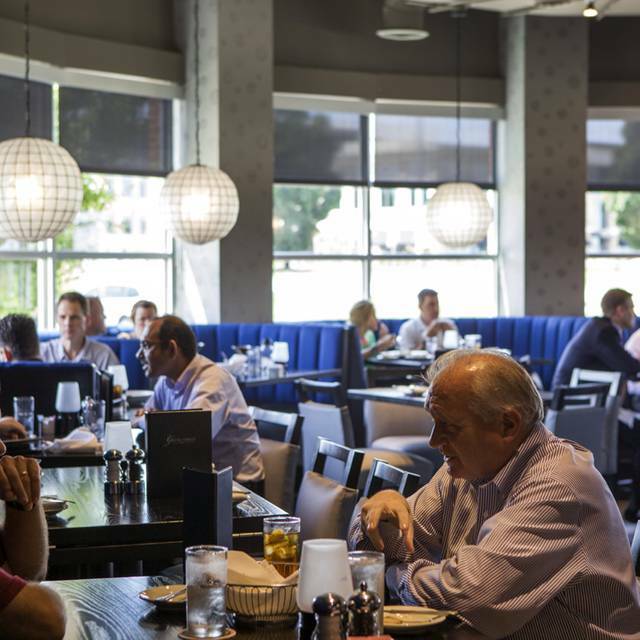 Our new location, in the Lenexa City Center, is the perfect retreat for indelible dining and events. Our food is simple, elegant, and exciting. 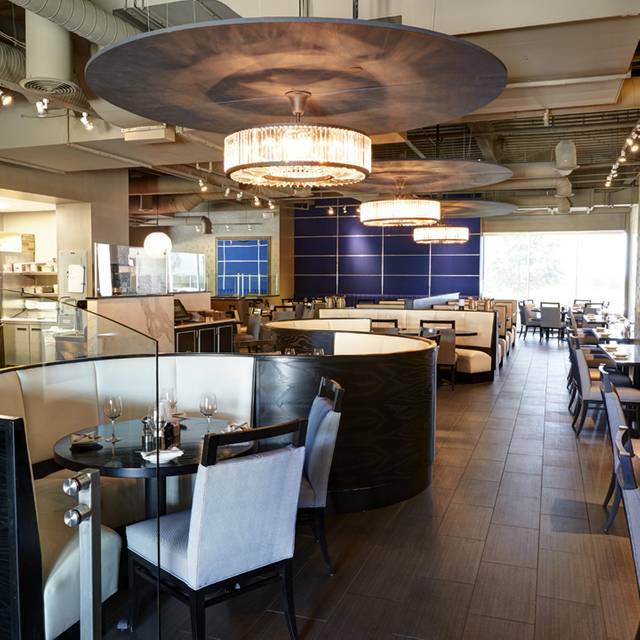 The exceptional cuisine paired with the modern decor is sure to make Grand Street a dining experience you will remember. Our chefs are dedicated to ensure your culinary experience will be fulfilled while our service team aims to provide the highest level of hospitality. Excellent service in a very pleasant location. Dinner was very good with large portions. Eat brunch there frequently. Class place. Creative and tasty dishes. Reasonable prices. Love Caleb he is always on point as a server and all around nice guy. Wonderful food and service. I will go again if I'm back in town. Our server, Ashley, was top notch. Extremely professional and a rarity in today’s restaurant industry. The food was excellent as always but Ashley and her wonderful demeanor and wonderful service took the dining experience to a new level of excellence. Well done! We have been there once for date night and the food, staff and atmosphere was wonderful! I recently went their on a moms day out and dined by myself in the bar area. The bartender was so sweet and kind and Not only was she making drinks for everybody but she was also bringing people food! The owner asked me probably three times how my food was and I really appreciated that interaction. Wonderful, well run restaurant and staff! They really take care of you and make you feel like home when you go there!! Our food was fab, our service was drab. We had very simple orders and simple requests like extra onions or cheese on a burger were left off. When we consulted with our server about this, she seemed extremely perplexed. I was very disappointed in the menu offerings. I was especially disappointed that the grilled pork chop was no longer on the menu. It has been a favorite of mine. I wish the menu didn't try so hard to be so unique. There should be more items on there for the less adventurous. The service wasn't great. The waiter was very nice but not very attentive. He never brought bread and never asked if we wanted more to drink. Great time to celebrate birthday with Friends. The menu had great choices for all and food was great. Grand Street is one of my KC favorites. The food never disappoints and I always feel special when I’m there. We went out for my wife’s birthday on a Saturday night st 6:45. We had a reservation but we arrived early (6:25) but we able to be seated at our table immediately. Great service, great food, great drinks. The bread with pureed brand is great for when you are waiting for apps. We had the flatbread, it’s like a full sized pizza. It was amazing and satisfied my sweet and salt tooth. The polenta was served like French fries with a great dip. The salmon was very good, served with carrots, squash, rice and quinoa. My wife god the bone in pork chop and Mac and cheese. I tired it and it was soooo good. Some cheap wine, great food (esp for the price) and just a few minutes from home. Will return and will bring friends. The ambiance and service was great! Wasn’t too impressed with the pappardelle. My husband had the ribeye and it was delicious! The fondue and deviled eggs were great! It was our first time, and we’ll definitely be back! Good atmosphere, good service, and good food! I will definitely be going back and recommend to others. Great wine night at Grand Street. Love the monthly wine tasting. The octopus and chorizo appetizer was big enough to be a meal - and quite delicious. Unfortunately their wine prices are higher than what I think is fair for the kind served. Our waiter must have been new. However, given the entire experience...I would definitely come back to try again. Wanted to try a new restaurant and discovered this place. Arrived a little early so went to bar for a drink. Ended up eating dinner at bar to watch KU basketball game. Drinks were good, however my martini was served in champagne glass. Ordered special, walleye which was prepared well. My wife order trout dinner, again prepared well. Drinks were good and service was attentive, thanks Dillion. We’ll be back. We enjoyed lunch. We were not rushed and our server was great. Seated within minutes of our reservation time, which was nice. Server brought us water and bread, then took our drink orders. 10 minutes later, he brought me the wrong wine. Another 15 minutes, I finally had the right wine, and then he took our order. 35 minutes after he took our order, our food finally came. Food was decent, but nothing to write home about. Our server acknowledged our wait times (he was very nice) each time he came to the table, but never offered anything to make up for it. We also never had a manager stop by. If we had, we would certainly have voiced our disappointment. Definitely not worth the $100 we spent on two meals and one glass of wine. Food was good, but a bit over done with sauces. Recommend reservations unless eating after 730-8 as they are crowded. They also cater private dining (wedding rehearsal dinners) so our food coming out was slower than I would have expected. It was delicious and hot. Our waiter was nice but a bit scattered, and his section seemed really large. He brought over the wrong wine, someone incorrectly delivered butter to our table vs the one next to us who requested it...stuff like that, but it wasn’t the worst service and everything else came out ok.
Our table was by the bar area which was louder. Recommend seating away from that area if you want to hear the dining conversation. We didn’t want to sit in the bar for dinner, so that added 20 minutes onto our reservation, which was frustrating. I think in the future I’ll go somewhere else or sit elsewhere. Nice venue. A bit pricy for Lenexa. Staff was friendly. Food was good. Restaurant Week lunch special not available on Sunday; not reflected on RW website. Took 45 min to get food. We had a wonderful dinner and great service. I tried one of the restaurant weeks special which was a very generous portion and very tasty. We will be back. We went prior to attending a show. The meal was good, service great. There was a loud group sitting near us, so not the best ambience this time. Note: we sat in a booth where the seats were uncomfortably low, even for a taller person (5’10”). We did not notice this the last time when we sat in a booth. We may go back for happy hour next time! The waiter confirmed each of our orders with how done we would like the meat. When it arrived the “pink in the center” he confirmed when ordering was not true for any of our dishes. Both steaks were instead well done and the salmon was cold, overcooked, tough, and lacked flavor. Not worth the prices charged for any of our meals. The Restaurant Week lunch item of short rib ragout was spectacular. Great meal, service and ambiance! Thank you! Disappointed. I ate her with my family two months ago. Great service and Great food. So we decided to celebrate my Birthday here last Saturday. Our server seems to be a good person and was really trying but.....I think she really needed more training, support. The recommendation on wine was responded with what her other customers generally ordered. The main issue, I ordered a ribeye and got a filet. Sent it back. Figured out later how the mistake occurred (but it was still server error). When the ribeye came out it was under cooked. As my wife was half way through her meal and I could not find any server at that moment, I got up and went to the hostess to have the server come back to the table. By the time my steak came back my wife was nearly done and the steak was tough. The restaurant did comp the steak but no manager came by to apologize. Also there were issues with the bartender. Again they could use additional training as well. We very rarely get a chance to go out to eat without the kids. We chose Grand Street because of the great reviews. The food was very good, but service was horrible. We had a reservation and arrived a few minutes early and got seated right a way. The food was great, but service was horrible. We had empty water glasses 3 times, our server never came by to ask if we needed anything after our food was delivered and we were never offered a 2nd glass of wine. When it came time for dessert, instead of asking if we would like to see the dessert menu, she said "you must be full, I assume you don't want dessert" I thought this was horribly tacky. Needless to say, we went somewhere else for dessert and another glass of wine. We won't be back. A favorite restaurant since it opened in Lenexa. Enjoyed the pork chops with am amazing smoked bacon mac and cheese. Wonderful menu, atmosphere and service. Definitely a go to for drink specials as well!! Grand Street Cafe is my go to spot for a classy, flavorful meal that is won’t break the bank. 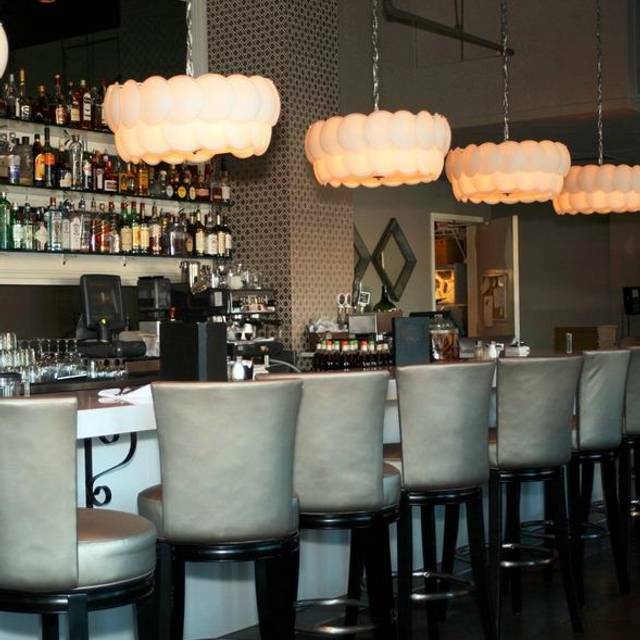 The atmosphere is upscale and inviting. The service is excellent and attentive and they make well crafted cocktails. I always enjoy my experience here and will continue to frequent this establishment. Bruce was our bartender. Very knowledgeable and very good with his drinks. Food was awesome as well.